Value Investing is an investment strategy used by some of the country's more prominent investors, most notably Warren Buffett. The American Heritage Dictionary defines value as a fair price or return. For value investors, this definition is a key concept in choosing which investments are right for purchase at a given time. They are not just looking for stocks that are solid- but are undervalued. Value investing is an approach to investing that singles out specific investments; stocks or bonds that are undervalued in relation to similar companies. That is not the same as cheap, however. An undervalued investment may still have a high share price in relation to other stocks in the same category. What is important is the relative value of the stock using tools such as the P/E ratio, price to book ratios, and other tools of fundamental analysis. Fundamental analysis, as opposed to technical analysis, is not about timing the market, or following charts and graphs that attempt to predict what the price of a stock will do next. Fundamental analysis is about using the basics. How a company's financials stand, its credit ratings, and industry outlook are keys to this type of analysis. A stock's revenue and expenses, and its debt and assets all come into play. One important point to remember when comparing quantitative items such as P/E ratios, is that companies of different sizes or in different industry categories will often have differing scales of what is a good value. What is cheap for a technology stock may not be cheap for a company that produces consumer goods. For many investors who practice value investing, blue chip stocks are often a key ingredient in their portfolios. Blue chip stocks often epitomize what value investing is all about- companies that have a solid earnings history, strong financials, a history of dividends, and a sizeable market share. These companies become attractive to investors when the market price of the stocks falls enough to make it a bargain, or a value. Value investing is not only based on purchasing good companies at low prices, but holding for the long term. These investments will generally pay solid dividends that allow investors to reap the benefits of not only market gain, but compound their growth with dividends. Because most brokerages have some sort of reinvestment program allowing investors the option of reinvesting dividends automatically, this compounding effect over time can create impressive returns. Value investing is all about looking for stocks that are priced at a bargain for the overall value. The market price of a stock will often drop for a company based on recent news reports, economic reports, a CEO change, or other outside forces. However, if the company is stable with a long-term history of success, it may be a prime target for value investors to hold on to for the long term. Value investing offers the benefits of not only compounding through dividends, but the ability to purchase good companies for the long term, with a positive outlook, at a great price. 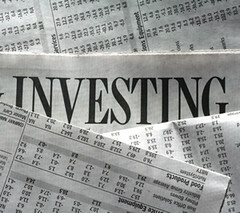 In Value-Investing-Center: we believe in sharing responsible investing education to people who wants to learn.